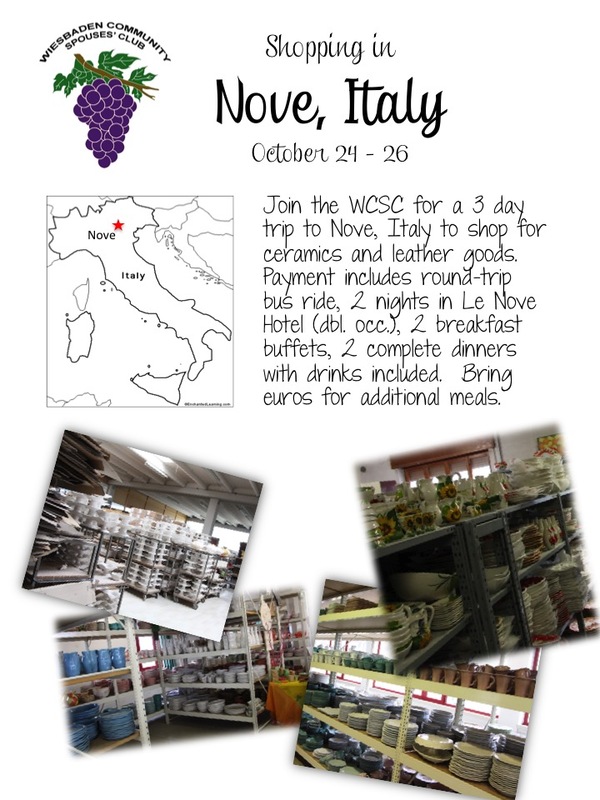 Join us for our luncheon and trip to Nove! My name is Alicia Bailey, it is such an honor to have been elected as the 2016-2017 President of Wiesbaden Community Spouses’ Club. 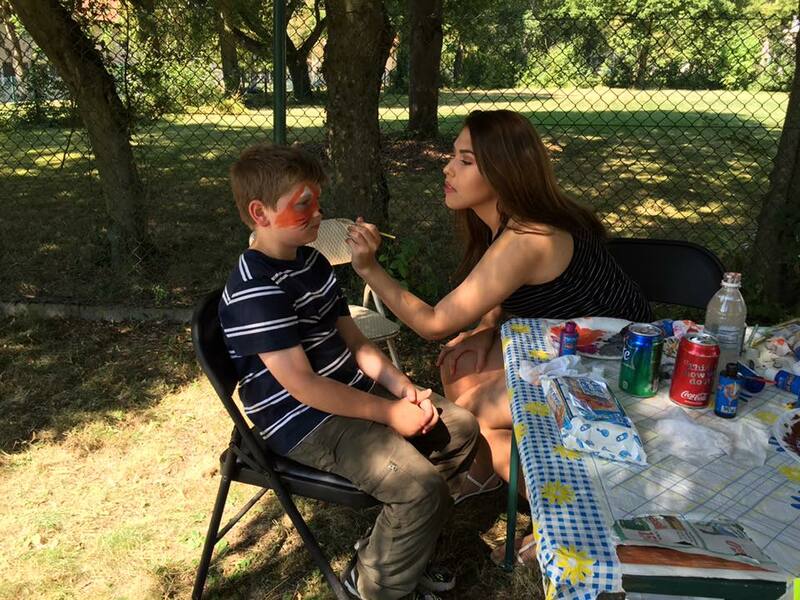 This is my fourth year volunteering with WCSC, and I am so excited about working with incredible spouses while making great memories and supporting our Wiesbaden community. When I am not volunteering with you or enjoying my job at the Chapel, my two daughters and two pups keep me on my toes. I love to take time to read and spend time with my friends as often as I can. I have been a military spouse for 18 years, and I feel very blessed to have my handsome soldier by my side. I have already started working with my amazing Board, we have so many fantastic Activities, Clubs, Special Events and committees to allow each of you to embrace your year with us. 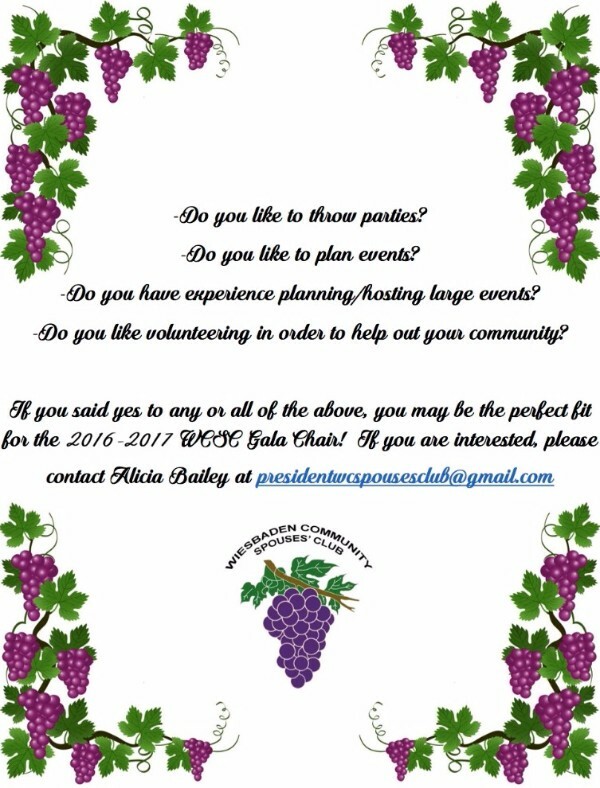 There are so many opportunities within the WCSC to give back to the community, I know we can find the perfect fit for you! The Board and I have spent the summer getting the new Clubhouse ready for the year, the house is such a blessing and we will surely make it our Home. 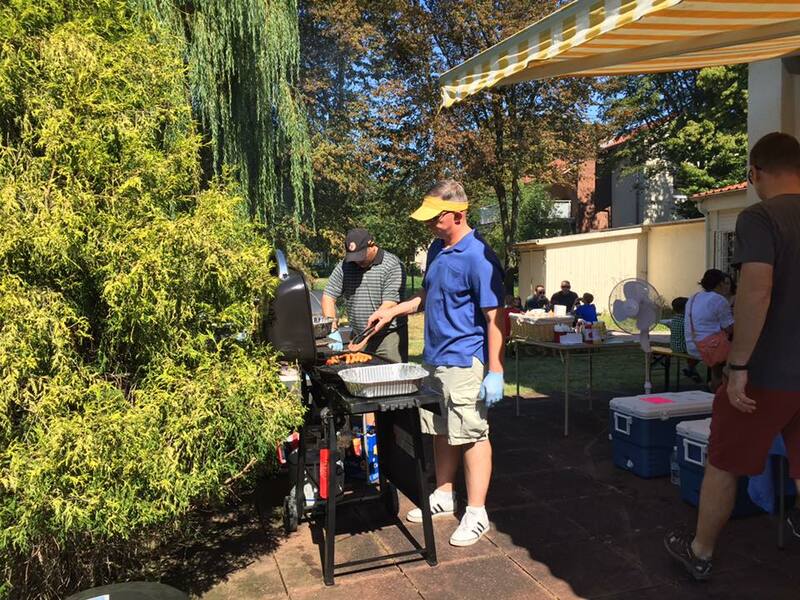 We just had a fantastic Open House that was so well attended, everyone had a wonderful time....food, games, and fun in the sun! Thank you so much for coming out and enjoying one last great picnic before the school year started! I hope to see you all at our September 9th “Back To School Bingo” at the ACS cafeteria, our friends at Boy Scout Troop 107 will be there fundraising by selling food and drinks. This event is open to the whole Wiesbaden Community, please invite your friends and neighbors for some family-friendly fun! 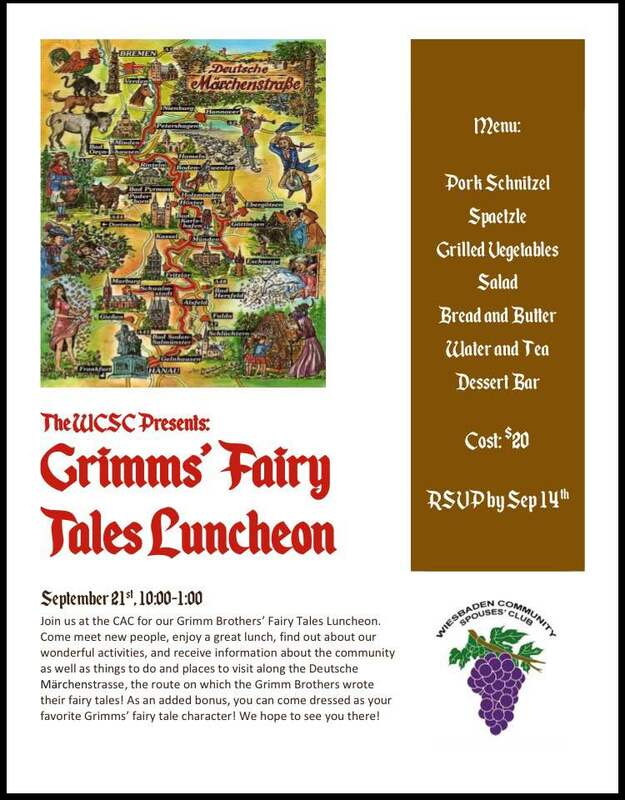 Our first luncheon of the year “Grimms’ Fairy Tales” is quickly approaching and you should be receiving your Punchbowl invite shortly. Don't forget to RSVP by September 14th as seating is limited and please dress as your favorite fairytale character! Our WCSC Thrift Shop has some exciting news coming, please keep your eye on the “WCSC Thrift Shop” and the “WCSC Member” Facebook pages for updates! 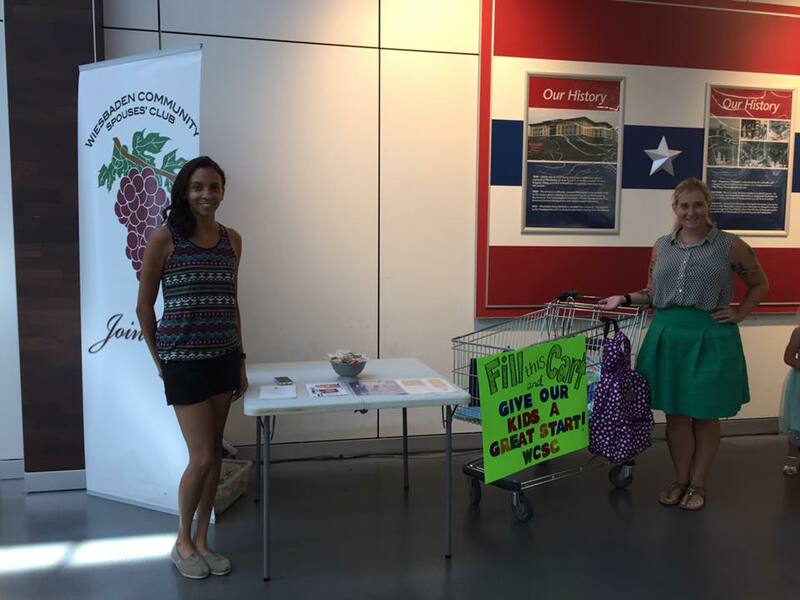 The Thrift Shop is the backbone of our organization, your donations and volunteer time are what make the WCSC a success. Non-members can reserve seats for their first luncheon only by sending an email to the Reservation Chair at the following: reservationswcspousesclub@gmail.com We love having a full house, but please remember that reservations for luncheons MUST be reserved by the RSVP date for each luncheon. No walk-ins can be accepted. Unfortunately, last minute reservations cannot be accepted after the RSVP deadline. If there are cancellations prior to or on the day of the luncheon, we will post the available number of seats to our Facebook page. 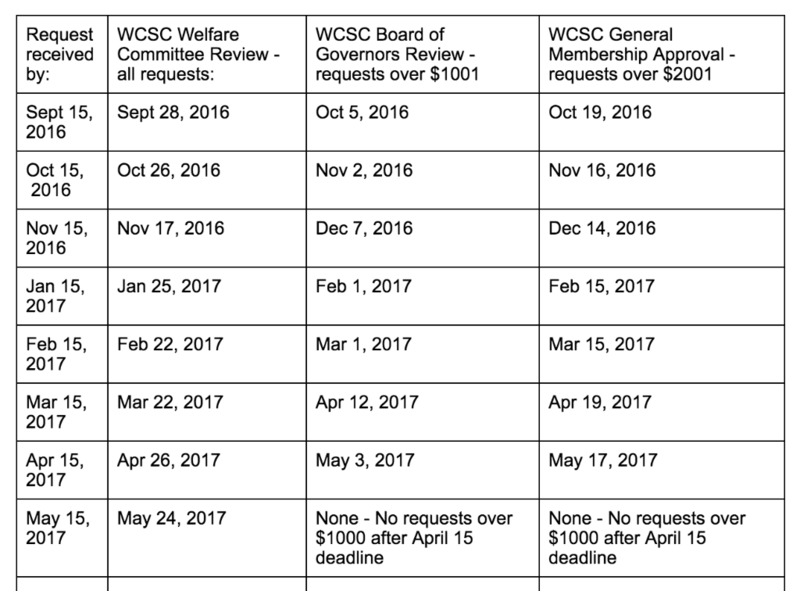 According to the cancellation policy, "A reservation for a WCSC function must be paid for unless it is canceled within the specified time period... [and] No additional reservation will be accepted for that individual until all previous obligations are paid." Raffle Tickets 6 for $5 or 25 for $20. 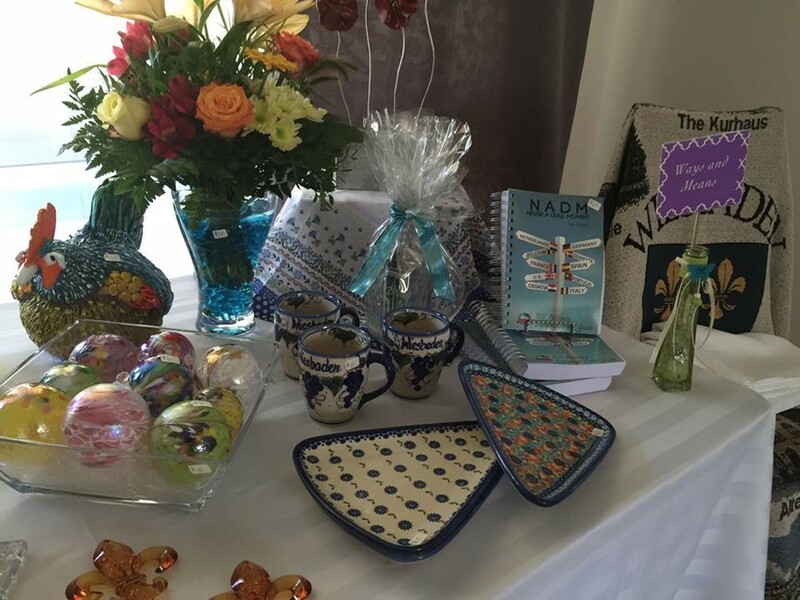 Raffle prizes include: jewelry, dinner for two, golf games, aromatherapy oils, family games, perfume, women's clothing, and more! The Hospitality Committee would like to extend a warm welcome to all our new members! Please continue to spread the word and keep bringing guests! Be sure to look for you punchbowl invite very soon for the Newcomers Welcome on 14 September at the WCSC Clubhouse! Thrift Store is looking to hire a cashier! Please contact Robin Fitch at tscwcspousesclub@gmail.com or store by the store for information. In 2016 $54,000 in Scholarship Funds were awarded by WCSC. You or your student could be one of the WCSC Scholarship Recipients in May 2017. Applications will be available 20 November 2016 on the website. Join us! You can sign up for this trip at the luncheon. Please note that the cost of the trip is 300 euros, which needs to be paid in full to save your spot. WCSC in 2015/2016 gave away $50,353.54 in the form of grants and gifts to over 61clubs in our Garrison and local community. 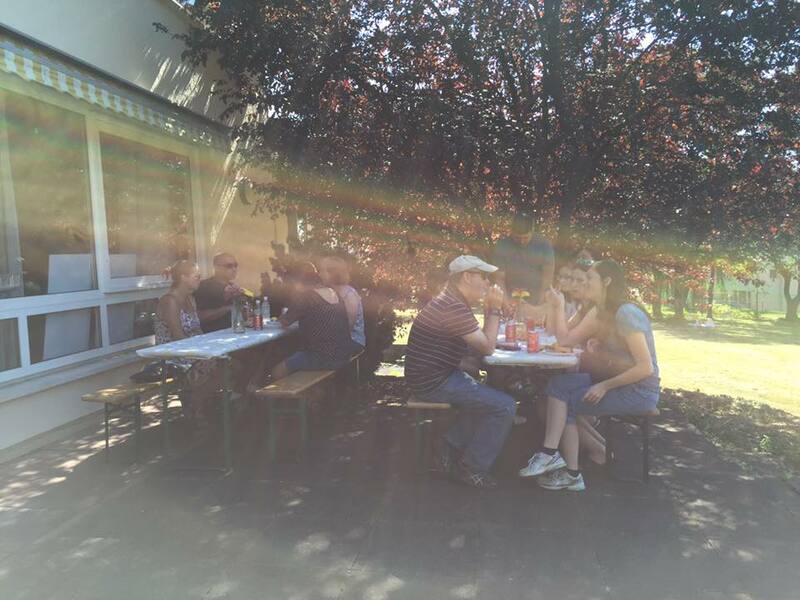 Copyright © 2016 Wiesbaden Community Spouses Club, All rights reserved.